and less downtime in label production. of a brand. Topcoat is a thin layer of paint like ink that helps inks bond to a film’s surface. quality compared to other inks. UV inks are dry and do not contain any solvent or water. 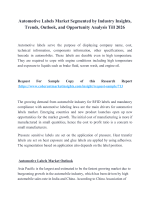 the growth of linerless labels market. attributed to the rapid growth of end-use industries such as food & beverages in the region. designs are preferred by consumers. Latin America has 28% of the world’s arable land and 33% of the world’s freshwater supply. regions such Europe and North America. 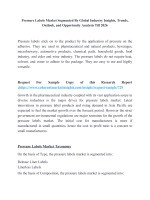 Middle East has witnessed burgeoning growth in packaged food and pharmaceutical industry. such as Al Thika is expected to meet the rising demand of the region. 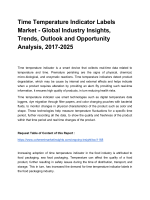 thus augmenting digital printing packaging market growth. Corporation (U.S.), Reflex Labels (U.K.), and Raveenwood Packaging (U.K.).